The Golden State Warriors have been in a funk recently. Before Sunday’s game against the Portland Trail Blazers, they had given up 120 points or more in three of their previous five games. For any other Warriors team or in any other year in recent history, that might have been expected from the Warriors given their history of poor defense. However, for the Warriors of the past two seasons, this is an unacceptable stat. 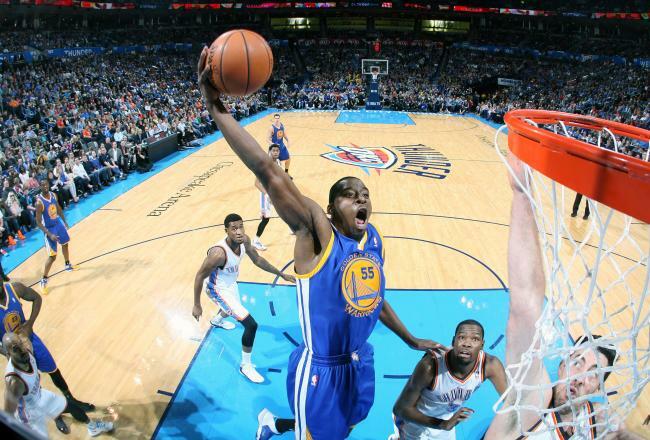 Last season, the Warriors ranked fourth in the NBA in opponent field goal percentage at 43.9 percent. This season, the Warriors, again, rank fourth in the NBA in opponent field goal percentage at 43.4 percent. This string of poor defensive games was strange and out of character. Mark Jackson seemed frustrated with the team’s defensive effort when he spoke to Rusty Simmons of the San Francisco Chronicle. As Coach Jackson said, the Warriors had to bounce back at some point, and on Sunday, they did. The Warriors’ 103-88 win over the Blazers was impressive on many levels, but mostly because of the Warriors’ stellar team defense. The Blazers are the highest-scoring team in the NBA. 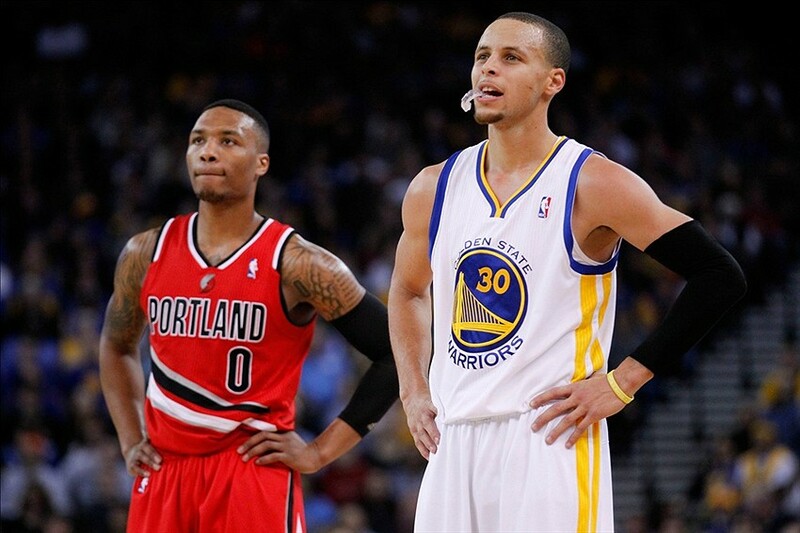 They average 109 points per game, so the fact that Warriors held the Blazers to a season-low 88 points was impressive. They also forced the Blazers to commit 14 turnovers, and they limited the Blazers to 33.7 percent shooting, which made the Warriors the first team in the NBA this season to hold the Blazers under 40 percent shooting. When the Warriors hold teams to under 40 percent shooting, they are 14-3. They are also 20-2 when they hold their opponents to under 100 points in a game. Another impressive defensive stat from the Blazers’ game is that they held the Blazers to just 12 points in the third quarter, which was the Warriors’ best defensive quarter of the season. They also forced the Blazers’ two main offensive weapons, Damian Lillard and LaMarcus Aldridge, to miss 23 of their 30 shots. 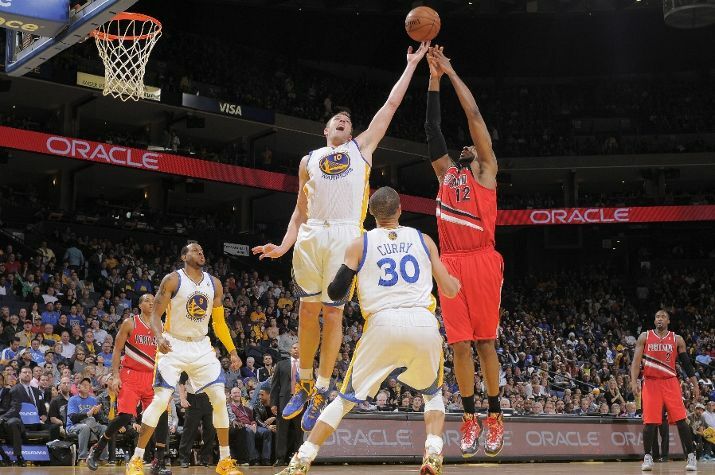 Although the Warriors’ win over the Blazers was impressive, the Warriors didn’t play perfect defense the whole game. One of the main reasons why the Warriors have struggled defensively recently is that they get off to slow starts. Before the Blazers game, the Warriors had allowed at least 30 points in the first quarter in seven of their previous 11 games. The Warriors often appeared sluggish and even confused on defense during the first quarter recently. It usually took them at least a quarter or two to find their defensive groove. The same thing happened against the Blazers. They gave up just 22 points in the first quarter, but they gave up 33 points in the second quarter. Then, as mentioned before, they gave up just 12 points in the third quarter and 21 in the fourth quarter. Stephen Curry told Simmons that Coach Jackson motivated the team to play with energy on defense and get back to the defensive identity that they had established earlier in the season. Also, before the Blazers game, the Warriors had allowed three out of their last five opponents to make at least 50 percent of their shots, which happened only five times in their first 39 games of the season. To fix this, the Warriors got back to closing out hard on jump shooters, contesting jump shots quickly, and pushing players out of the paint as much as possible against the Blazers. Coach Jackson told Diamond Leung of the Bay Area News Group that he was impressed with how the Warriors bounced back from that stretch of poor defensive games. Although the Warriors lost their most recent game to the Washington Wizards on Tuesday night, they played pretty solid defense throughout the game. They gave up only 88 points and forced the Wizards to shoot just 37.78 percent from the field. The Warriors had trouble rebounding the ball though, as they were out-rebounded 56-47. The Warriors got off to a better start defensively though and held the Wizards to just 24 points in the first quarter. They only got stronger from there, allowing 21 points in the second quarter, 21 points in the third quarter, and 22 points in the fourth quarter. The Warriors forced the Wizards into tough shots too. John Wall shot just 6-for-19, Bradley Beal shot just 8-for-19, Trevor Ariza shot 3-for-9, and Marcin Gortat shot just 2-for-8. The Warriors did exactly what they had to do to continue their streak of solid defense. They started the game off strong defensively, they played solid defense for all four quarters, and they kept the Wizards’ stars in check. The Warriors have shown that they can be an elite defensive team in the NBA. They’re just missing some consistency. The Warriors need to continue to make defense a priority and play their brand of basketball. The Golden State Warriors currently have a 27-19 record. In their last two games, they have played one team with a 33-13 record and another team with a 22-22 record. Conventional wisdom would suggest that the Warriors would win more easily against the team with the worse record. However, this was not the case. In the first game of the two, the Warriors beat the Portland Trail Blazers, who currently have the third best record in the Western Conference, 103-88. The Warriors won by a fairly significant margin against a quality team. They forced the Blazers, the NBA’s highest-scoring offense, to a season-low in points, and they forced them to shoot a season-low 33.7 percent. They held a probable Western Conference all-star in LaMarcus Aldridge to just 10 points. 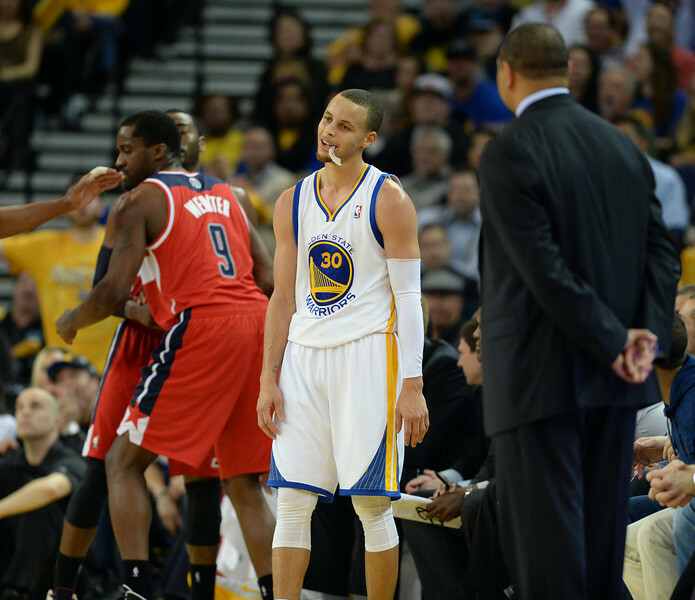 In the second game of their two most recent games, the Warriors lost to the Washington Wizards 88-85. The Warriors played solid defense for all four quarters, holding the Wizards to 37.8 percent shooting. However, their offense disappeared in this game, and they only shot 37.5 percent from the field. The Warriors have gotten into a bad habit of playing up or playing down to their competition. On one side, it’s great to see them playing good, competitive basketball against some of the best teams in the NBA. However, it’s even harder to watch when they lose to a team that they should hypothetically beat fairly easily. I just created a Facebook page for The 3rd Sister! Everyone go “like” the page on Facebook, and you’ll receive updates on new articles! Go check out the Facebook page and give it a like here. 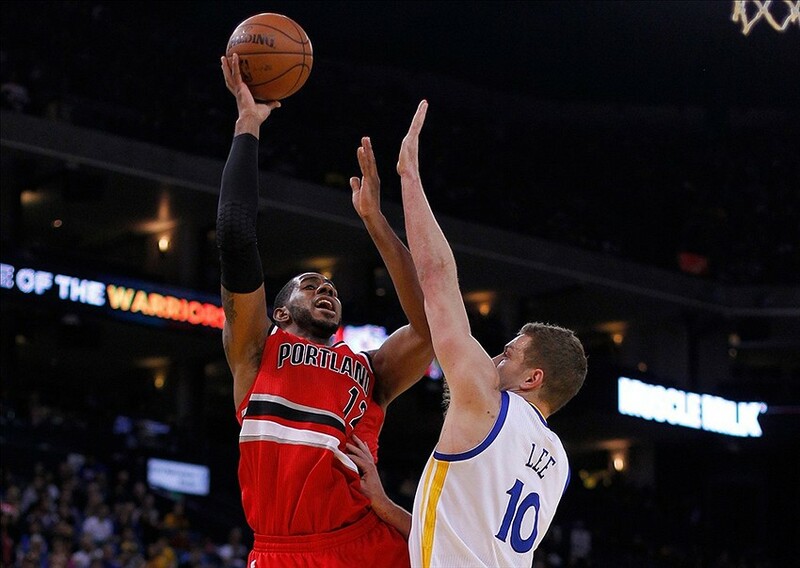 On Sunday, the Golden State Warriors beat the Portland Trail Blazers 103-88 behind stellar team defense and some impressive defense on LaMarcus Aldridge. The Warriors held the NBA’s highest-scoring offense to a season-low in points, and they forced them to shoot a season-low 33.7 percent. David Lee drew the tough assignment of guarding Aldridge, Portland’s best player and one of the best power forwards in the NBA. Andrew Bogut and Draymond Green also spent time guarding Aldridge, but Lee was the main disruptor. Although Lee is often criticized for his defense, he held Aldridge, who is averaging 24.3 points per game this season, to just 10 points on 2-for-14 shooting. Lee was playing with a sprained left shoulder, so it was impressive how he was able to play physically with Aldridge, especially in post-ups. Back on November 14, 2013, before a home game for the Golden State Warriors against the Oklahoma City Thunder, LetsGoWarriors.com got the opportunity to ask Stephen Curry about the possibility of playing alongside Kevin Durant and Russell Westbrook on Team USA Basketball (USAB) this summer for the 2010 World Championships, with the caveat that during the NBA season, Curry was probably focused on the Warriors. Today, USA Basketball will announce a 28-player pool from which USAB chairman Jerry Colangelo and coach Mike Krzyzewski will choose the 12-man rosters for the 2014 World Cup of Basketball and the 2016 Olympics in Brazil. Marc J. Spears of Yahoo! Sports and Marc Stein of ESPN.com have both reported that Stephen Curry is among the 28 players selected. 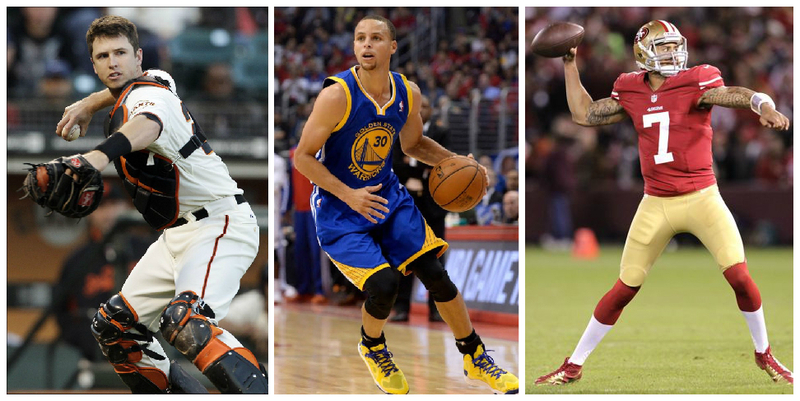 Warriors guard Stephen Curry amongst players on the USA roster, source said. Curry won a gold medal with the USA Men’s Basketball Team that won the 2010 FIBA World Championship. He also was a member of the 2007 USA U19 World Championship Team that won the silver medal at the 2007 FIBA U19 World Championship and that won the gold medal at the 2007 Global Games. 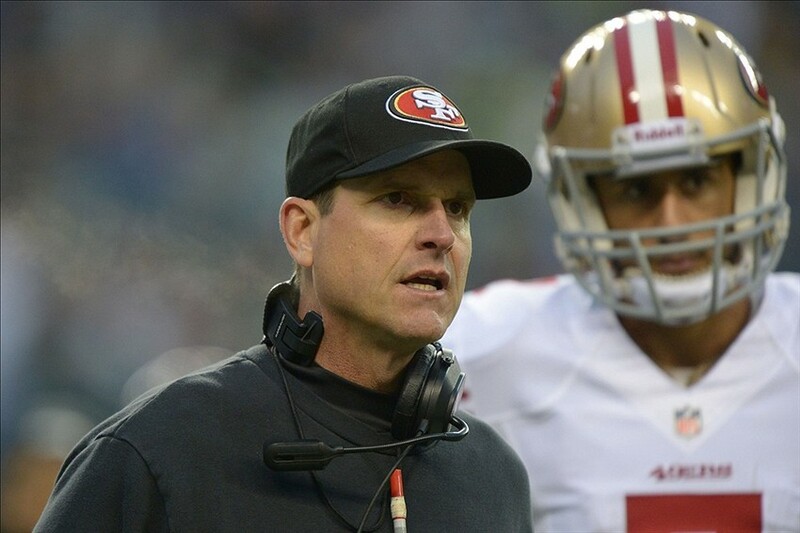 The San Francisco 49ers have come painfully close to winning a Super Bowl title for the past three seasons. Unfortunately for them, the Seattle Seahawks will be representing the NFC in the Super Bowl instead of the 49ers this season. The 49ers are certainly an elite team in the NFL, especially given the fact that they’ve made it to the NFC Championship three seasons in a row now. However, there’s always room for improvement, especially if they want to beat Seattle next season. The 49ers are now officially into the offseason. They can now focus on what moves they need to make to improve next season. The Golden State Warriors boast the best starting lineup in the NBA. However, the biggest criticism for the Warriors this season has been the lack of scoring from the bench. To address this problem, the Warriors made a change. They acquired Jordan Crawford and MarShon Brooks from the Boston Celtics last Wednesday in a three-team trade. Although Brooks is a solid player with lots of potential, Crawford is expected to have a larger role off the bench than Brooks. In Crawford, they acquired a 6-foot-4 combo guard who is averaging 13.2 points and 5.5 assists per game this season. The Warriors acquired Crawford because of his scoring and his ability to handle the ball.